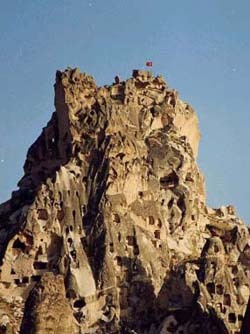 Ortahisar which means "the fortress in the middle" is a picturesque town built around a huge tufa rock with numerous openings . 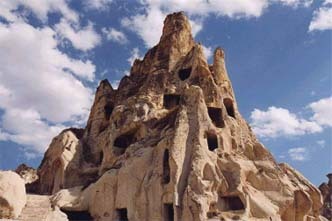 Because of erosion, external walls have collapsed showing the rooms carved inside. 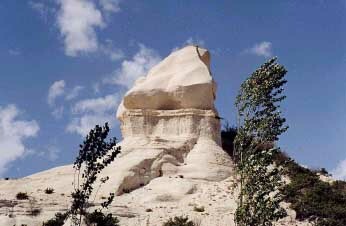 Uçhisar: in spite of its different shapes, this tufa rock resembles Ortahisar with which it formed a defensive chain of natural fortresses. From the top (60m/200 ft) there is a beautiful panorama over the town and neighborhood, as well as the Valley of the Pigeon Houses. 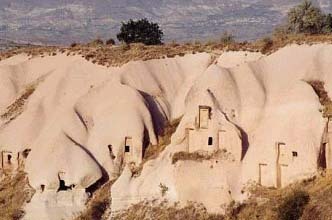 Göreme is an open-air museum. 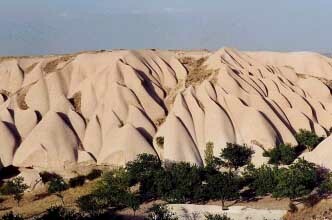 A religious community used to live in this valley. 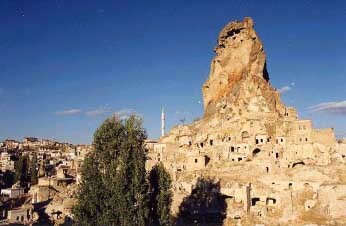 Monks carved churches and monastic buildings out of the rocks. The splendid decoration painted by artists adds to the picturesque architectural decoration. 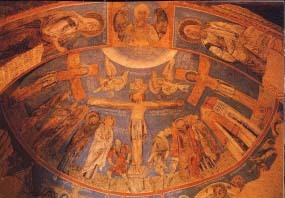 The churches which can be seen there date back to the second half of the 9th century and afterwards, and frescoes were painted around the 11th century. 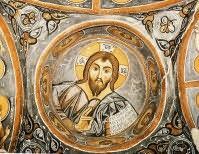 - Tokalı Kilise "the Church of the Buckle,composed of the Old Chapel and the New Church, has the most spectacular frescoes. - Karanlık Kilise "the Dark Church" was part of a monastery and has an interesting refectory. 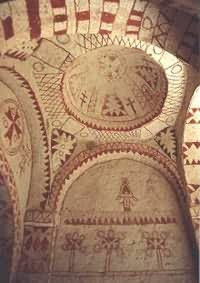 - Çarıklı Kilise" the Church of the Sandal" which name derives from a footprint on the ground considered as divine and located below the Ascension fresco. 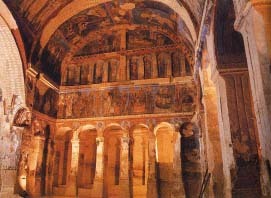 - Barabara Kilisesi "the Church of St Barbara" has a pictorial simplicity with a red dominant color. - Yılanlı Kilise "the Church of the Serpent" where St George and St Theodore are fighting against the evil under the appaearance of a serpent. 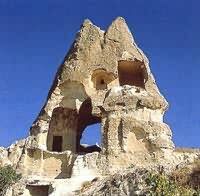 - El Nazar Kilise is located inside a remote cone.